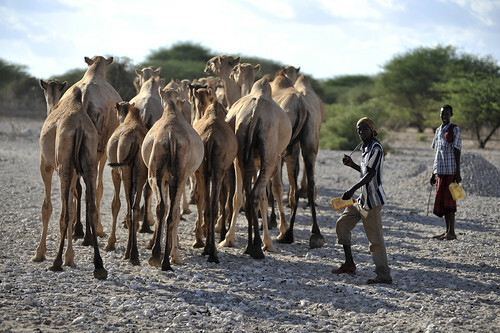 Camels at a water point near Wajir (photo credit: ILRI/Riccardo Gangale). ‘In Kenya 1.3 million people are facing serious food insecurity and loss of livelihoods as a result of poor rainfall. As the next dry season approaches, one insurance scheme is using satellite data to support some of east Africa’s most vulnerable. Photographs by ILRI. ‘East Africa’s drylands are home to millions of herders who move across the remote, arid lowlands of the Horn of Africa seeking water and pasture for their camels, goats, cattle and sheep. . . .
Bashir Ibrahim Mohamed, Takaful Insurance of Africa policy holder. 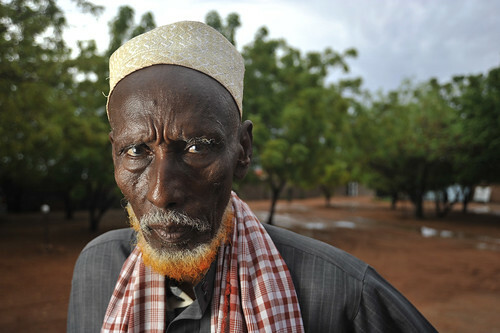 Ibrahim is the father of Hassan Bashir, the CEO of Takaful Insurance of Africa (photo credit: ILRI/Riccardo Gangale). ‘To date, more than 11,750 herders across northern Kenya have purchased IBLI contracts from insurance companies partnering with ILRI, and payouts of more than US$200,000 have been made. The Kenyan government has provided an additional 14,000 households with IBLI coverage through the Kenya Livestock Insurance Program. . . .
Read and view the whole photoessay by Tess Riley in The Guardian: Using satellites to support Kenya’s drought-hit herders‚in pictures, 30 Nov 2016. Tags: IBLI, IBLT, KLIP, The Guardian. Bookmark the permalink.